SUMMARY: An easy walk to an unmarked arch with great views. 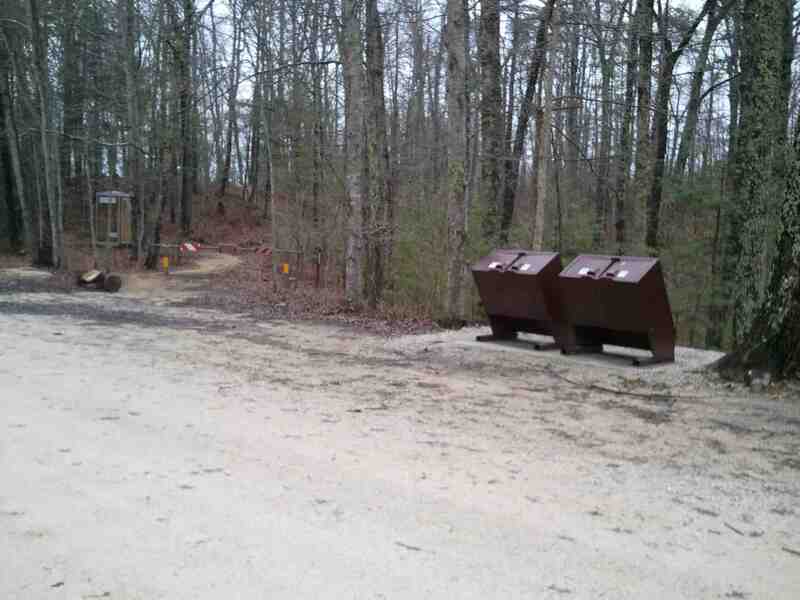 RATING: Easy Walk (about 0.6 miles) Restrooms are available at trailhead. While this is a very easy walk we call it a hike because it follows unmarked trails. Pull off and park on the side of the road. From the pull off where you parked follow the unmarked trail on the RIGHT side of the road (opposite of the garbage cans and barricade pictured) out to Half Moon Arch (0.3 miles.) 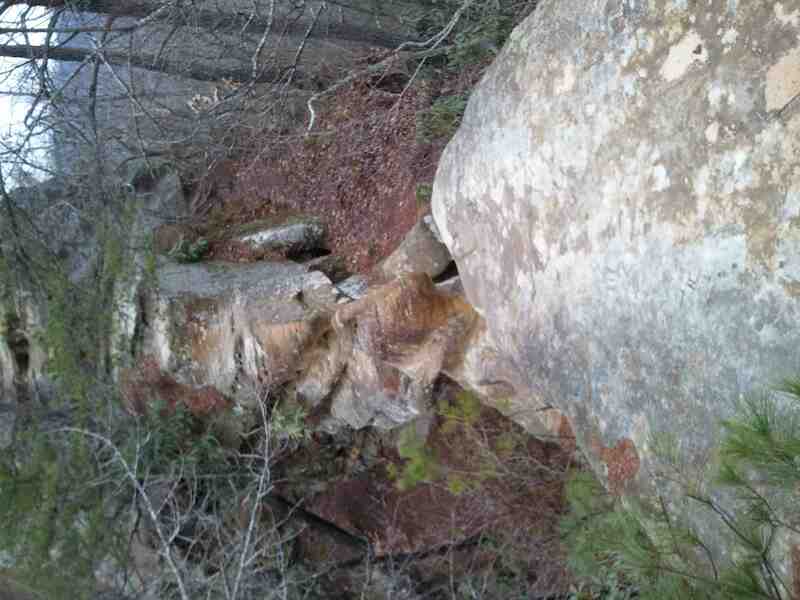 You will pass at least 2 camp sites, and you will know you are on top of the arch when the trail appears to end. Backtracking a few feet and scrambling down on the left side you can get below the arch. 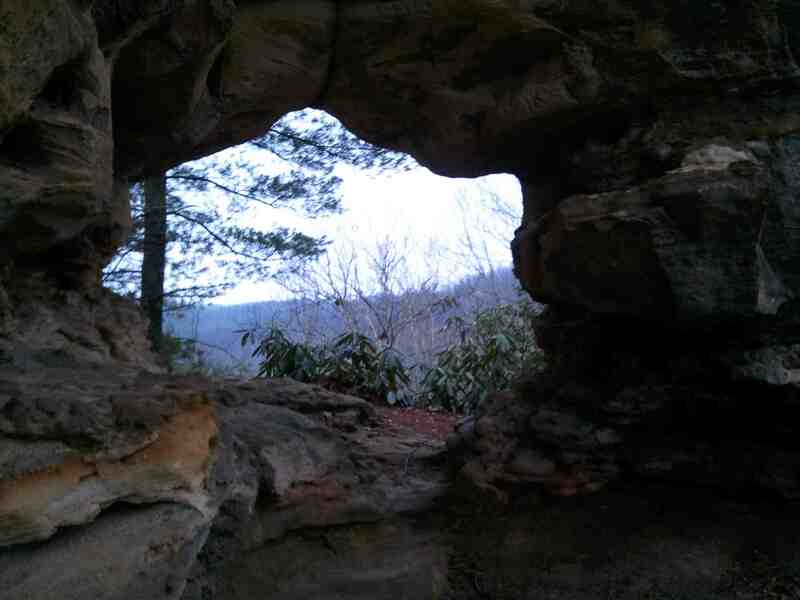 BONUS: It is possible to continue out past Half Moon Arch to an amazing view point. It is not recommended because of the high number of fatal accidents in the area. This walk can easily be combined with the Chimney Top Rock Walk and Princess Arch and Little Princess Arch Walk as the leaves from a parking area 0.3 miles down the street.